This is an exceptional opportunity to play a leadership role in creating a more diverse, equitable, affordable, sustainable and economically vibrant Bay Area. MTC and ABAG serve as the RTPA and MPO and comprehensive regional planning agency and Council of Governments for the nine counties and 101 cities and towns of the San Francisco Bay Region respectively. Although still acting under separate governance structures, per a memorandum of understanding, the organizations consolidated staffs under one executive director in 2017. An exceptional leader with an unflappable presence and the ability to respond to the region’s challenges both strategically and tactically is sought. Ideal candidates possess strong analytical skills, sound decision-making abilities and respected business practices. The next Executive Director must possess a strong understanding of transportation funding and project delivery; familiarity with regional transportation and land use planning principles associated with demographics, air quality, affordable and market rate housing and housing demand, and natural resource protection; and, knowledge of the diverse issues facing urban, suburban, and rural areas. Background experience in Council of Government environments will be looked upon favorably. A master’s degree is desirable. 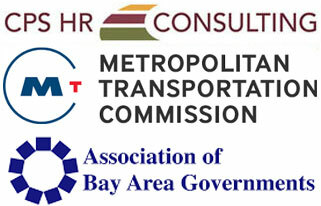 The Metropolitan Transportation Commission and the Association of Bay Area Governments are equal opportunity employers. Join the team that’s transforming LA and the nation. Metro is seeking a Chief Planning Officer to assist in executing Metro’s mission to provide a world-class transportation system that enhances quality of life for all who live, work, and play within LA County. This is an opportunity to join one of the nation’s largest and most innovative transportation systems.